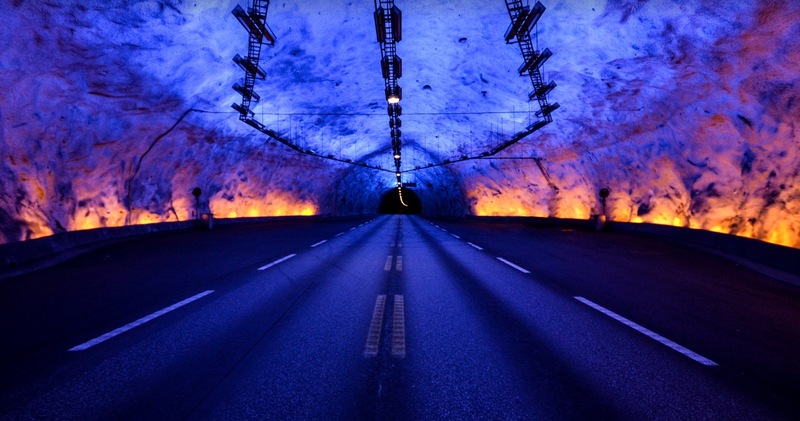 Lærdal Tunnel is a 24.51-kilometre long road tunnel connecting connecting Oslo and Bergen. It is the longest road tunnel in the world succeeding the Swiss Gotthard Road Tunnel. Its design takes into consideration the mental strain on drivers, so the tunnel is divided into four sections, separated by three large mountain caves at 6-kilometre intervals. 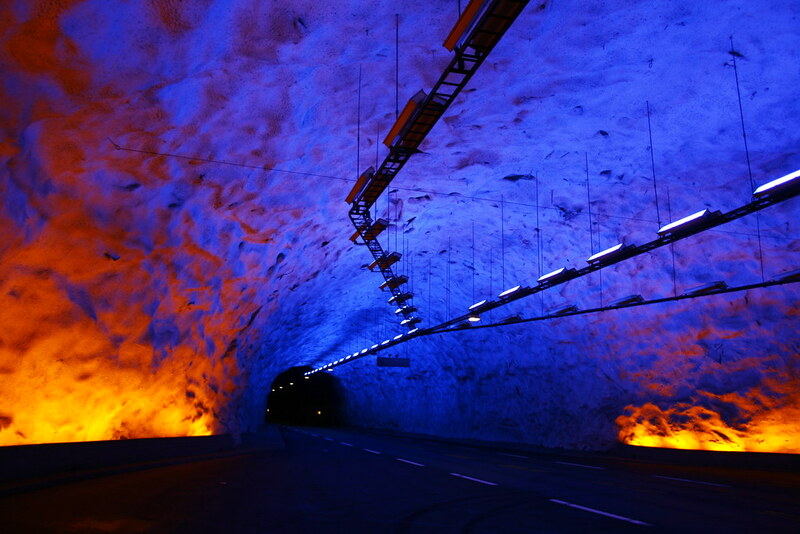 While the main tunnel has white lights, the caves have blue lighting with yellow lights at the fringes to give an impression of sunrise. The caves are meant to break the routine, providing a refreshing view and allowing drivers to take a short rest. The caverns are also used as turn around points and for break areas to help lift claustrophobia during a 20-minute drive through the tunnel.